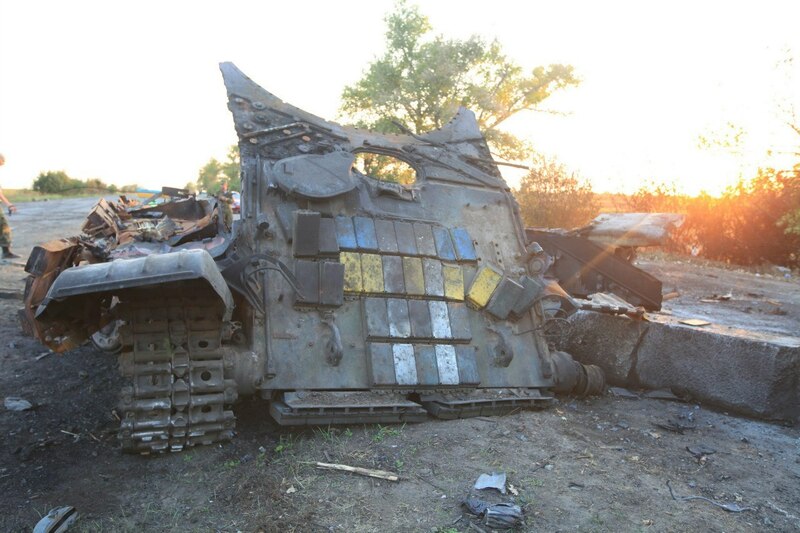 Donbass: “The Kiev Junta’s Southern Front Disaster”. 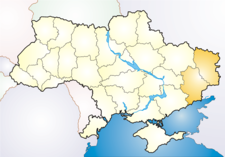 Prior to the Cease Fire Ukraine Forces were being Defeated. Preamble: In the midst of a failing ceasefire, punctuated by regular breaches on the part of the Ukrainian Army and Kiev’s punitive battalions, it is important to reflect on the military situation in Novorossiya on the eve of the implementation of the Minsk Protocol. We trust that this note will permit readers to reflect on the changes at the front that we have been witnessing. It is also a good reference point to enable one to guard against revisionism. The Novorossiya Armed Forces were on the brink of an important military victory before the ceasefire froze the hostilities in a much less favourable status quo, allowing Ukraine to re-establish a meaningful front-line; to reinforce key positions in preparation for an all-out assault that everyone is able to anticipate; to rearm and to replenish its troops. A comparison of the map below with more current versions is very instructive in this regard: and while it may be argued that the additional territory shown here under the control of the NAF was never securely held or that the NAF were thinly stretched, this ignores the very real disarray that was spreading in the enemy’s ranks as far afield as Zaporozhie. 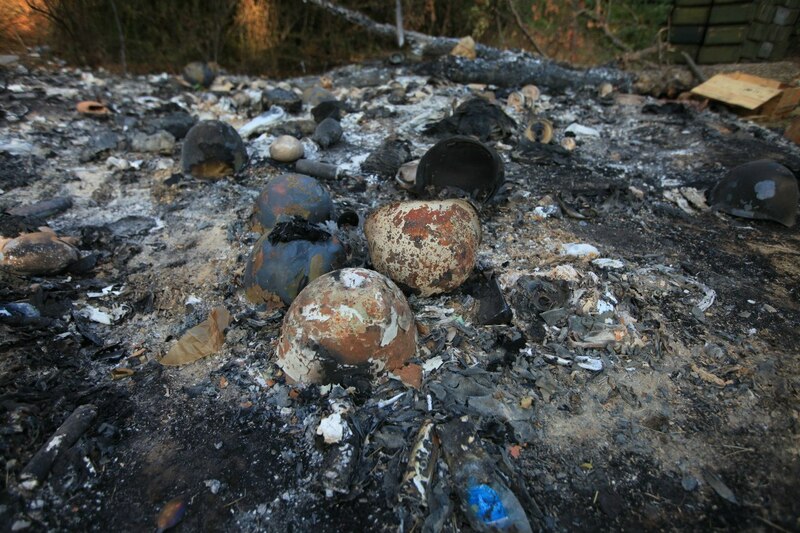 The days leading up to September 1, 2014 clearly demonstrated the consequences of the Junta’s Southern Front disaster. 1. 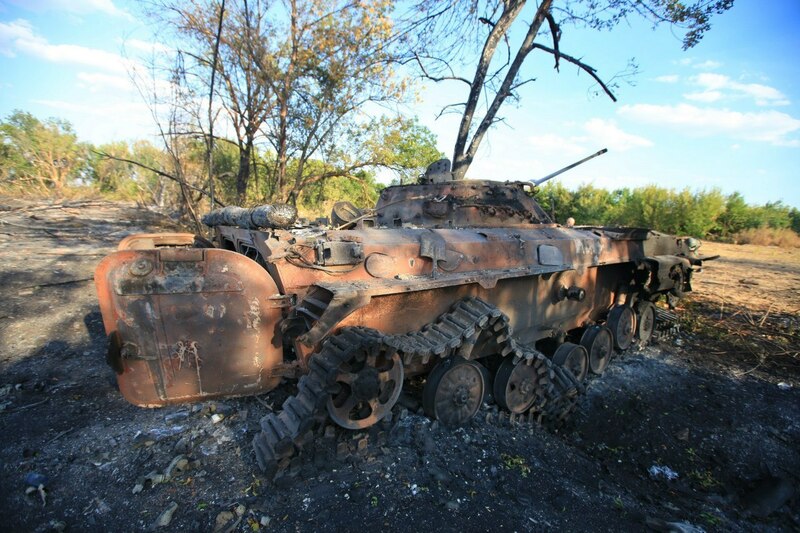 The Militia’s offensive south of Donetsk continues to gain ground. The Junta simply has no forces here to close a huge gap that stretches from Georgiyevka and Karlovka to the Azov Sea. All available forces were sent to defend Mariupol, and to the front-lines west of Donetsk—to prevent a cleaving strike through Selidovo on Krasnoarmeysk and Konstantinovka. Such an attack could lead to a deep encirclement of the Junta forces besieging Donetsk. There are simply no available forces to cover this huge hole in the front, so here the Novorossiya Armed Forces (NAF) simply move forward, held up only by its own lack of forces and the necessity of controlling the territory already captured. In essence, only the weakness of the NAF transforms the catastrophe unfolding right before our eyes into a drawn-out process. For example, if the mechanized brigades of the Russian Army were advancing here, then they could have used this operational void to break through all the way to the Dnieper River relatively unhindered—there would have been nothing to stop them. Nevertheless, it is expected that in a few days the Army of Novorossiya will begin encountering some hastily created screens that are supposed to slow down the unfolding of the catastrophe in this area. 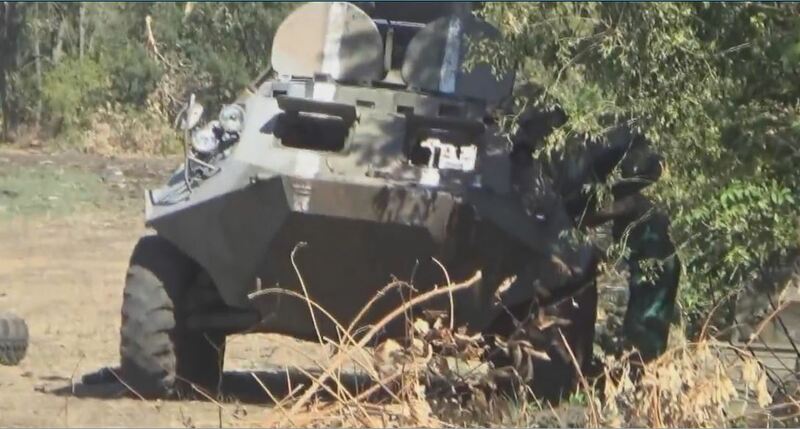 Also, this week, two or three reinforced, armoured battle-groups are expected to enter combat on the Junta’s side. 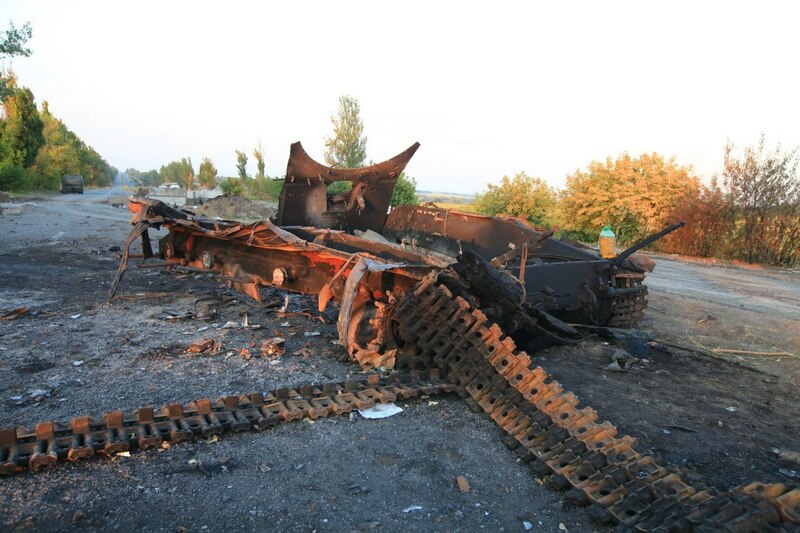 The remains of the Junta forces by Dyakovo and Ilovaysk are doomed, very few fighters will be able to get out. Needless to say, the NAF will continue to accumulate a lot of trophies. By now, the NAF have essentially put Mariupol under operational encirclement. The morale of the encircled troops is low, support of the population is about sixty to forty in our favour (among the politically active residents). The hopes for a naval supply were dashed by the attacks on border-guard boats at sea near Mariupol. This suggests that a complete blockade of the city was planned and that the capture of Mariupol is one of the priority goals. At the same time, the NAF can use this blockade to their advantage—they are now free to deploy their sabotage-reconnaissance groups (SRGs) towards the outskirts of Berdyansk and on the territories bordering Zaporozhie. In essence, there is continuous probing to determine the future directions for further advance—reinforced SRGs and some of the NAF redeploying to the area now will advance where there are no enemy forces, or where the enemy forces are weakest. One can say that the NAF are currently emulating the tactics of the Junta forces from July and the first half of August, when the Junta similarly looked for gaps in the Militia’s lines and advanced their mechanized groups and SRGs into those gaps. This tactic has already achieved a new operational encirclement of the Junta’s forces: a so-called Volnovakha cauldron has emerged. 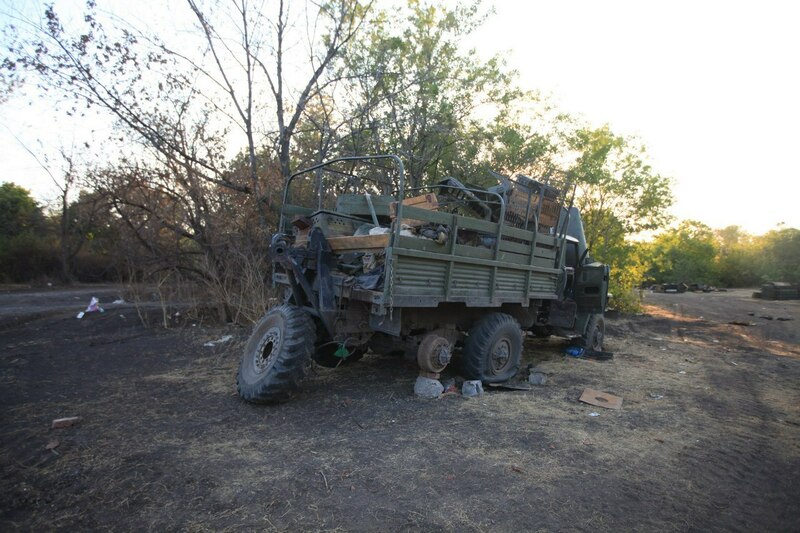 A semblance of a front-line between Volnovakha and Maryinka collapsed once again, and now the enemy will have either to break out with major losses or, once again, surrender vehicles in order to save personnel. Overall, the offensive is developing very successfully here, which influences the situation on the other Novorossiyan fronts. The rout of the Junta’s South Front is equivalent to the Stalingrad defeat of Nazi Germany—the war may continue and it may do so for a while yet, but it is clear that the Junta’s war machine is breaking down and it will no longer be able to achieve a military victory. The tide has turned, and the destruction of Novorossiya is no longer possible. 2. The rout of the Junta’s South Front forced it to not only pull all reserves up to the breakthroughs south of Donetsk, but also to withdraw forces that were wedged into the NAF positions elsewhere. The Junta had already begun withdrawing forces from Donetsk Airport. It is still partially held for now, but will clearly be abandoned within a week. There is absolutely no sense in keeping hold of this protrusion—it is no longer useful as an airport (both sides damaged it quite heavily) and it lost its meaning as a bridgehead for offensives against Donetsk a week ago, when the front to the south of Donetsk disintegrated. The fierce resistance encountered there is only a sign of the Junta’s operational impotence in this area, as the previous assault on Donetsk from the North ran out of steam on the streets of Yasinovataya and in the north-western suburbs—although there was a moment when the NAF were quite pessimistic about the prospects for repelling that offensive. 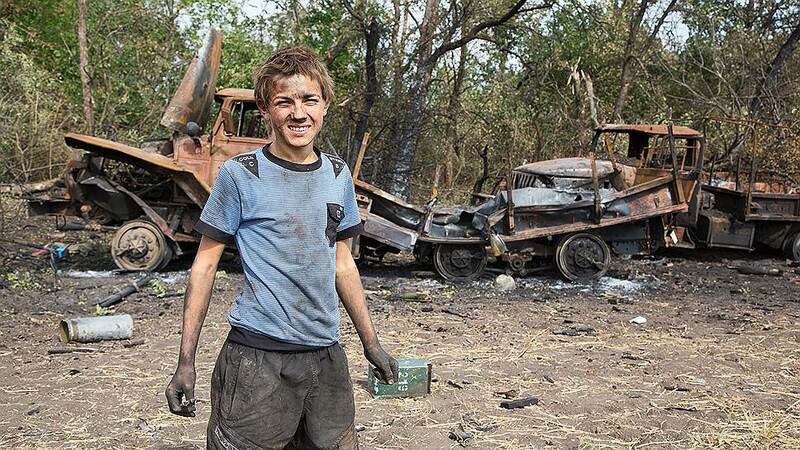 These days, a timid strike by the Junta towards Yasinovataya was a shadow of what it once was—it ended up weak and futile; the NAF did not even have to pull serious forces from the South to parry it. Opening up a corridor out of the encirclement near Yelenovka allowed the Junta to save a part of the encircled forces, but, at the same time, led to losses in materiel and the abandonment of important positions that were essential for shelling Donetsk. The Junta group holding Debaltsevo is in a precarious position, as the NAF strikes towards Svetlodarsk unambiguously suggest an intention to encircle all of the Junta forces in the area of Debaltsevo and Uglegorsk, instead of attacking them head-on. The Junta faces an unpleasant choice: either it will have to abandon Debaltsevo and Uglegorsk voluntarily and retreat to Svetlodarsk, or it will persist in defending it, risking the formation of a Debaltsevo cauldron within several days. 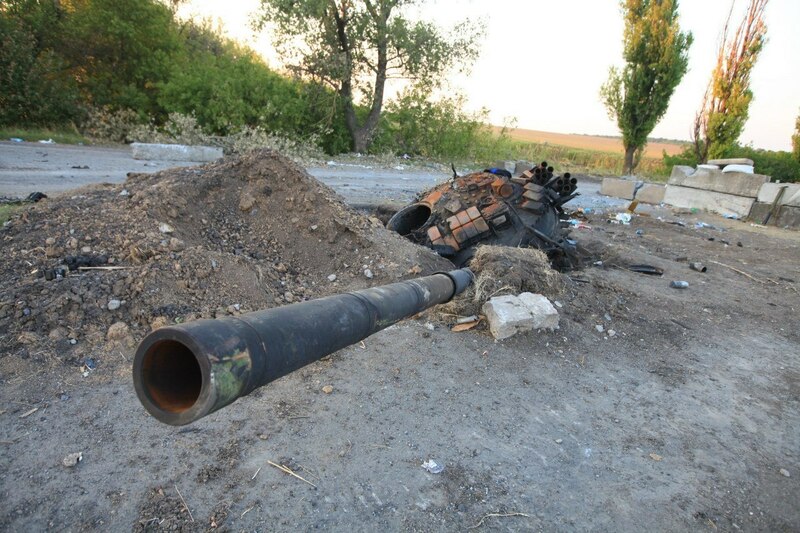 Overall, the enemy will be gradually driven off from the positions north of Donetsk, too. Approximately in seven or eight days the shelling of Donetsk should cease, and the capital of Novorossiya will then no longer be a front-line city. 3. 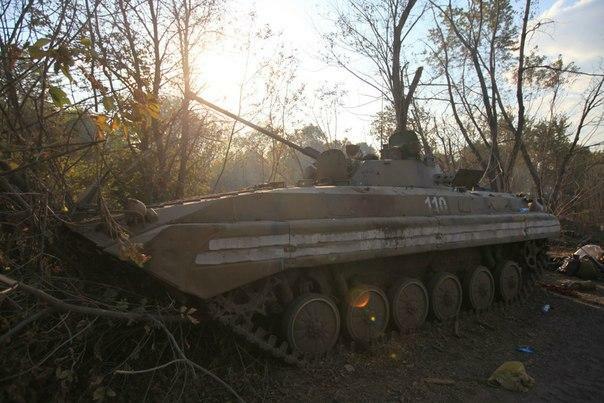 The NAF in the Stakhanov/Alchevsk area are still on the defensive, due to a lack of available armour and artillery. 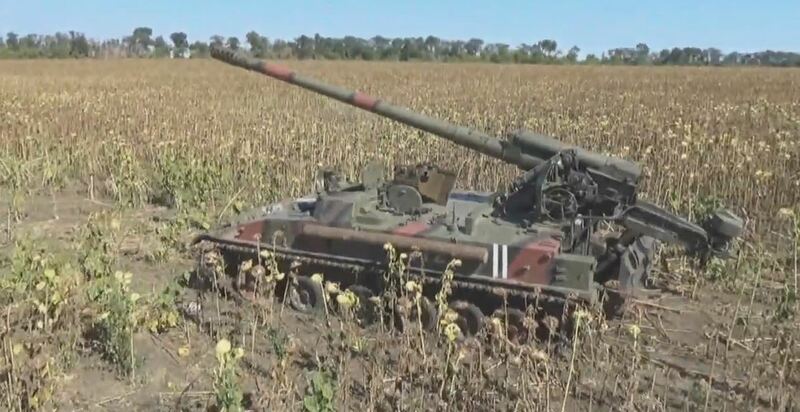 They are trying to pin opposing enemy forces in place and are using SRGs to conduct armed reconnaissance in the direction of Severodonetsk and Slavyanoserbsk. Overall, the Ghost Brigade of Alexey Mozgovoi holds the front-line here, allowing the NAF to perform offensive actions in the vicinities of Donetsk and Lugansk. 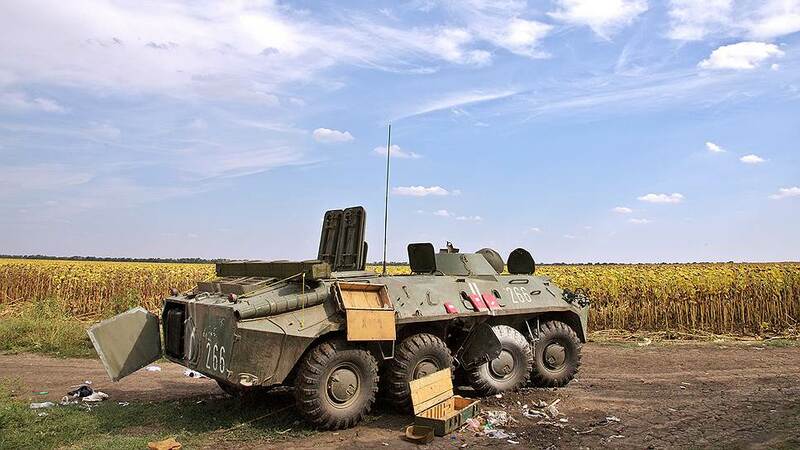 However, if additional forces are redeployed to the area of Gorskoe (two to three armoured battle-groups and up to a battalion of infantry with the support of MLRS and tube artillery), the NAF would be quite capable of conducting a strike towards Severodonetsk and Lisichansk. But it is more probable that, while the cauldrons elsewhere are being finished off, the militia here will remain on the defensive. 4. To the south of Lugansk, the enemy began retreating from Lugansk Airport and is close to being routed; Lutugino is being abandoned as well. In essence, a “wandering cauldron” is forming here, and it will have a very hard time returning to its own side because there is not much to relieve it from the North. 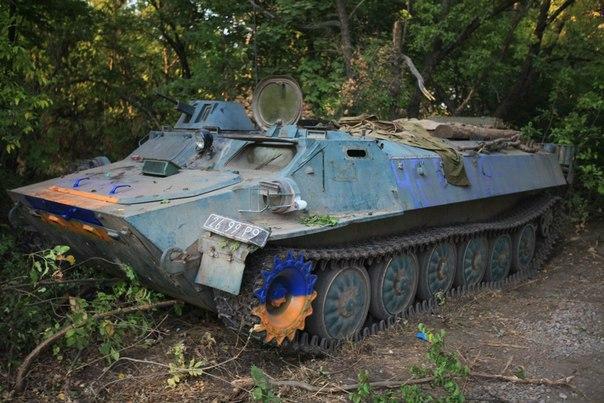 The Junta pointlessly wasted the majority of its tanks here in July and August, and the last remaining combat-ready units were ground to dust in heavy fighting by Khryashevatoye and Novosvetlovka. 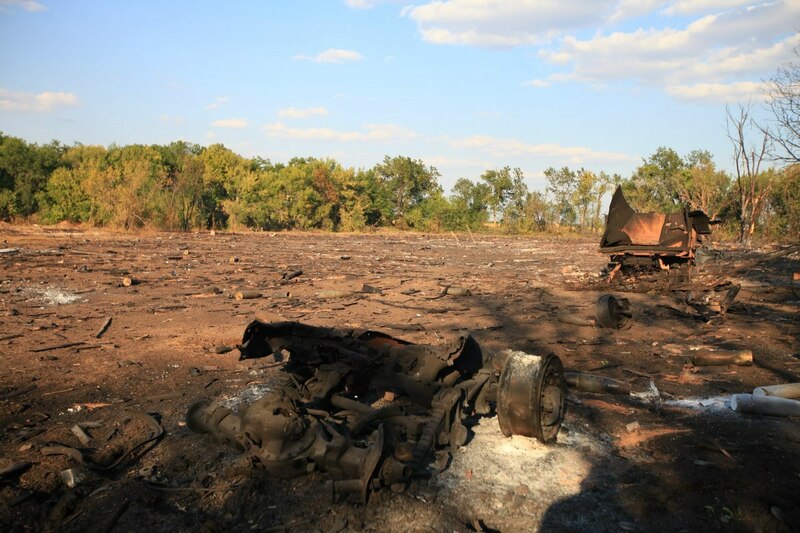 Of course, the fighting here won’t stop immediately—but the retreat from the airport is a clear indication that taking Lugansk is no longer on the agenda. The retreat from Khryashevatoye and Novosvetlovka and the withdrawal from the airport put an end to the Junta’s ambitious plan of encircling Lugansk. The fighting in Stanitsa Luganskaya—still partially controlled by the Junta—certainly prevents the NAF from putting more pressure on the encircled troops south of Lugansk. However, this only slows down events without changing their overall course. 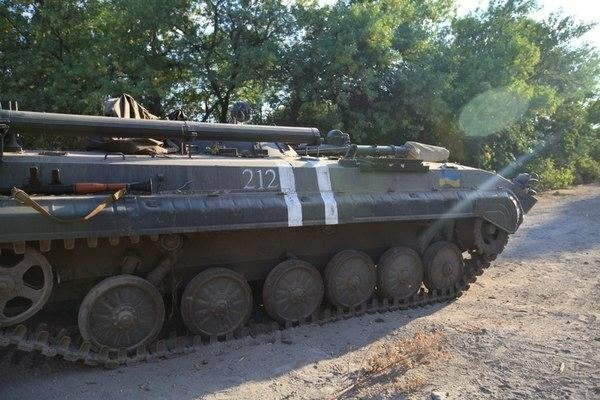 Having lost aerial superiority in this area, and having lost the majority of tanks and Infantry Fighting Vehicles (IFVs) on the roads near Lugansk, Junta forces north of Lugansk will be forced to maintain a passive defence. Meanwhile, the stragglers to the south of Lugansk will continue their attempts to break out. This will continue until the NAF clears everyone to the south of Lugansk, accumulates sufficient forces and strikes at Shchastye or, bypassing it, Novoaidar. 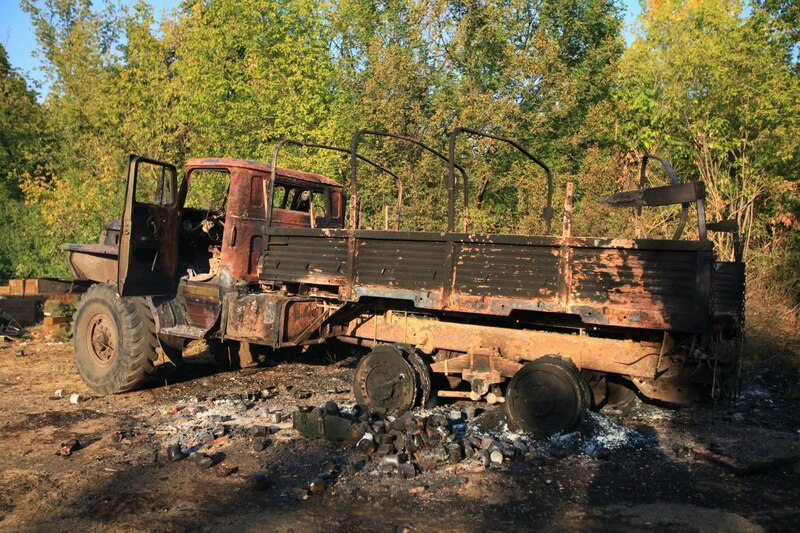 However, due to the organizational weakness of the LPR and the issues with joint command (some of the commanders continue to fight independently), the offensive here is proceeding fairly slowly, even though the configuration of the front-lines favours routing the Junta. 5. In general, the military situation is currently favourable for us. The inertia of the offensive and the configuration of the front-lines allows us to expect new tactical and operational successes in the coming days, as well as further losses of personnel and vehicles for the Junta. In light of the Junta’s losses and of the newly won trophies of the Militia (plus the work of the “military surplus store”), and also in the light of the influx of volunteers, the ratio of forces continues to improve. Currently, due to its losses, the Junta can deploy no more than forty thousand soldiers against the twenty-nine to thirty-three thousand NAF soldiers. The Junta’s advantage in vehicles is currently no more than two-fold, at best—perhaps even less than that. 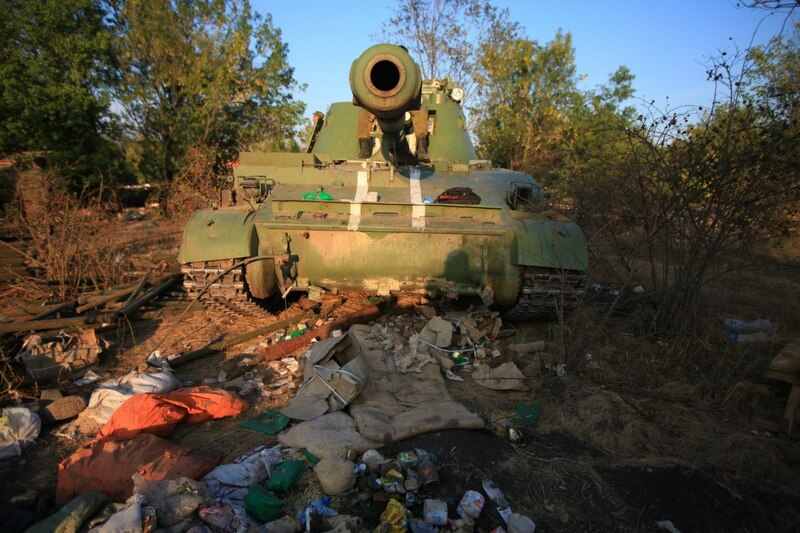 The Junta’s air force continues to suffer catastrophic losses. Overall, over the last two months of its offensive, the Junta was stripped of its overwhelming advantage in personnel and vehicles, lost its aerial superiority, and now has effectively no significantly greater number of tubed and rocket artillery than the Militia. The current trend is that, consequent upon the collapse of the Junta’s Southern Front, the majority of the Donetsk People’s Republic (DPR) will be liberated and combat will commence in the Zaporozhie region. That is to say, combat may soon enter enemy territory that was never originally under the control of the DPR and the LPR. 6. With respect to politics, backstage dealings about the future of Novorossiya continue. It is already obvious that Novorossiya will exist. Yesterday’s news sensation—that the leadership of Novorossiya is ready to agree to a “United Ukraine”, suggests that the party of “Greater Transnistria” is not abandoning its attempts to limit the results of the rebellion to the territory of the DPR and the LPR. This party continues to inject provocative ideas into the Russian media in order to discredit the leadership of the people’s republics. The latter obviously cannot go against the sentiments of the soldiers and residents of Novorossiya, who are determined to exit Ukraine altogether. Nevertheless, it is clear that sooner or later it will come down to negotiations, and so it is critically important that the Army of Novorossiya capture as many cities and districts of the former Ukraine as possible, in order to ensure a more comfortable position in such negotiations. Frankly, continuing the war is beneficial for us, because currently it appears that the Junta will continue to lose more and more ground. For now, the negotiations need to be delayed or disrupted. The fact that the Junta is unwilling to negotiate is actually positive, because this can be used to prevent them from obtaining some kind of at least “honourable peace”. Judging from official and unofficial announcements, though, the enemy increasingly understands that this war cannot be won and that it is necessary to save that which can still be saved. In general, the war will be won by us, and Novorossiya will exist within some as yet undetermined borders, as a rather large unrecognised state. Thus, those who aided our struggle can already feel their involvement in our common victory, which is now assured. 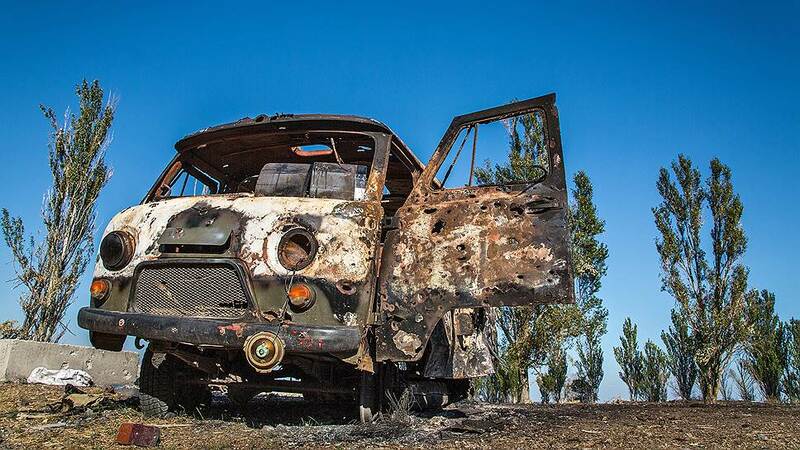 Post Scriptum: A significant number of photos of captured and destroyed vehicles and various trophies.